Feel free to use & modify, no attribution required. There's an auto-connect feature to help you (most of the time). It can be disabled through the pause menu. Early but old wip, I don't think I'll have time to work on it for a while so here it is, instead of gathering dust all alone. This was inspired by a minesweeper puzzle I saw in a paper magazine years ago. a future update will most likely feature mouse support. I made the game quite forgiving, and I just realized it's still playable without even cycling the colors. maybe I could ditch the cycling altogether? or make it a difficulty option? what do you think? 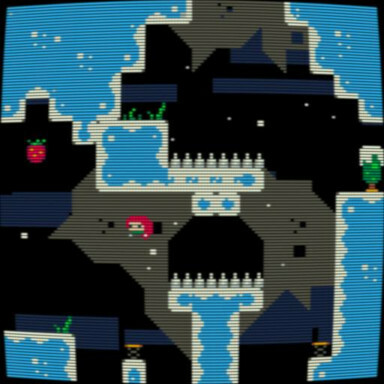 There's quite a bunch of pico-8 games on arcadeprehacks. they're leeched from here, and modified with "trainer" options. ads all around, no acknowledgment nor links to the original stuff. at least they could add a cracktro! They stop when you stop! 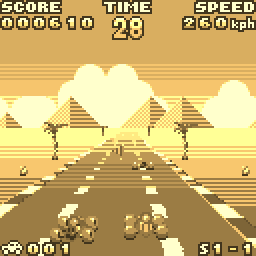 Rush through the maze in Pellet Time! 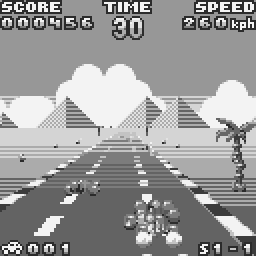 Super Ms Pellet: Speed-hacked classic muncher! 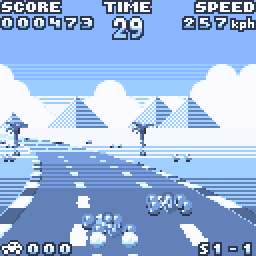 in Glorious Scanline-O-Vision (aka Lame Scanline Overlay) for some reason. v1.2.1: fixed Clyde's AI, added blinking hearts. I started a pac-man clone a long time ago and here's its current state. The generated mazes are not that good, the main menu is a mess, the code is nothing to be proud of, but the graphics could have been worse. well, it's not totally finished yet. Let me know what you think! You've been flushed away in The (Endless) Sewers of d'Oh! Now try to escape, pathetic paddling! v1.2.0: warrior mode, better background, ugly label. note: SOD is keyboard/gamepad only while POD is mouse/touch only! so this poor guy has been sitting there, unfinished and lonely, since last summer. I started this as a follow up to my Boing demo then totally forgot about it! I don't think I'll be back on it any time soon, so here it is anyway! the goal of this sliding tile puzzle is to make tetrominoes. good move: you've connected 4 tiles of the same kind, and made a tetromino. +1 on score. there's a little tune. the cleared tiles are replaced by random ones. free move: not a good move, but the tile you moved connects to one of its kind. there's a "satisfying" beep. in twenty mode, you are allowed 20 bad moves until the game ends. in marathon mode, you start with 4 bad moves and gain one for each tetromino you make.